Single band 700MHz 65dB. 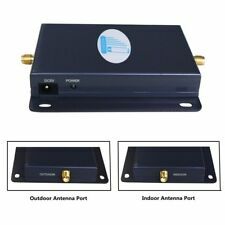 This Single Band Repeater is designed for 700MHz Cellular Band; It includes a repeater standalone and both indoor/outdoor antenna. Small Size, Light Weight, Beautiful Repeater. 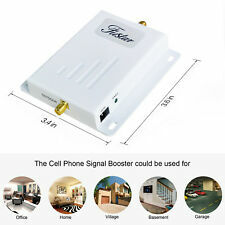 Signal Repeater Booster. You should get 3 bars of stable signal in the location where the outdoor antenna is fixed in,or the booster can't work well. Max.Antenna Gain:Uplink:8.1dBi Downlink:6.6dBi. Gain:Uplink:60±2dB Downlink:62±2dB. 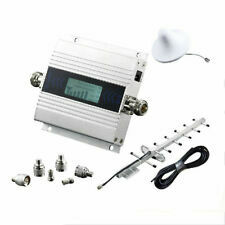 850 1900 mhz Mobile Phone Signal Booster 2G 3G. SureCall Signal Boosters. The full band antenna is designed to cover 2G/3G/4G and WLAN systems for Cellular, PCS, AWS and LTE frequencies. This ceiling mount antenna transmits and receives to cell phones with a 360 degree beamwidth. Condition: Working Pull in good condition. Switched to Sprint and no longer need it. Software and batteries are not covered or warranted. Up for sale we have a used Surecall 4G LTE CM700V 32dB. 1• Surecall 4G LTE CM700V 32dB Signal Booster Verizon. Average Gain 32dB. Single Band 700 MHz – (4G LTE Band). Standard Supported Verizon LTE. Signal Booster Verizon. WeBoost / Wilson Signal Boosters. Wilson / weBoost 3-Way 75 Ohm Splitter 700-2500 Mhz with F-Female Connectors | 859994. The popular Wilson 859994 "Super Splitter" is perfect for splitting amplified signal with minimal loss. Around your phone and redirects it back to the aerial. you get 5 antennas. do find they gain at least one bar of signal strength after installing this booster. you get 10 antennas. Remove the adhesive seal on the back of the booster. It is factory sealed with full Wilson USA warranty. 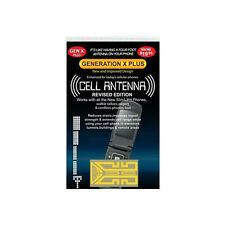 1 unit - Wilson extra range antenna. 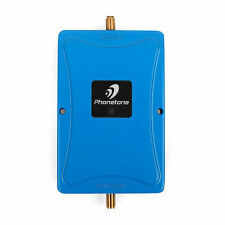 Extra range antenna to pull in phone signals from even the most remote areas. 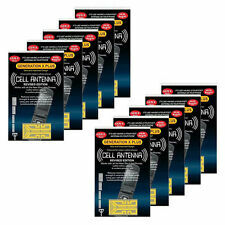 Works for all boosters with frequencies from 824 MHz to 1990 MHz range and HSPA networks. The 859906 is a -6dB (700-960 MHz) Tap. The 859906 features a -6dB input with a 1.5 dB pass through. This is a lightly used Wilson -6dB/-1.5dB Tap for 700-960MHz 50ohm 859906. Covers 700 to 960 MHz. For sale is a AT&T CISCO MicroCell 3G Wireless Cell Phone Signal Booster model DPH151-AT in tested good working condition. Only what is pictured is included. Trending at $49.96eBay determines this price through a machine learned model of the product's sale prices within the last 90 days. Samsung Network Extender (Signal Booster) SCS2U01 for Verizon Wireless. Condition is Used. Shipped with USPS Priority Mail. 1 x 62dB 850MHz Repeater. 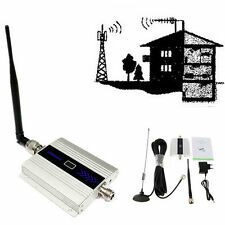 If you have existing cables, indoor and outdoor antennas,you can use this repeater together with them. This is only a booster (main unit), you need outdoor antenna and indoor antenna to work with it. Works with 50 Ohm amplifiers and antennas. Attenuates signal by 6 dB. Cellular/PCS Amplifier. Direct Connection. What is Shown in the Pictures is What You Will Receive. Signal Repeater Booster. Emission Designator:LTE(G7D). You should get 3 bars of stable signal in the location where the outdoor antenna is fixed in,or the booster can't work well. Power Adapter. (E.g. you brought wrong model or wrong color). 2 dBi / 5 dBi gain. Wide band 2G, 3G & 4G LTE (698 - 2700 MHz). 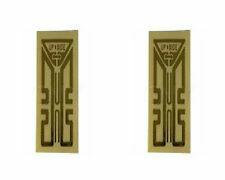 SureCall Signal Boosters. The Fusion5s. the Fusion5s. whether you have an iPhone 6 or a Samsung Galaxy S5, SureCall amplifiers support any phone that runs CDMA, GSM, EVDO, LTE, HSPA , and WCDMA technologies. Complete, in box, Samsung Network Extender SCA-26UC4 for Verizon 3G service. ETHERNET CABLE INCLUDED . Everything you need for use is included. I will respond as soon as I can! Wilson Sleek arms to hold cell phones in place for Wilson 3G and 4G signal booster. It is factory sealed with full Wilson USA warranty. Product Model #: BBUZ660GBO. Product Model # BBUZ660GBO. It will boost data, voice and provide signal where you need it. The external antenna kit includes hardware for mounting the antenna to the inside of a window for places where outside installation is not possible. SMOOTH TALKERS BTSBTK1 LJHS SMX JACK 12 VOLT.